Join the campaign to keep this unique museum open. Progress is now being made towards moving the Cromwell Museum to a trust. Following discussion at the Museum’s committee, the County Council will be recommended that the new trust is established as a Charitable Incorporated Organisation. Officers are undertaking the preparatory work, identifying the skills which new trustees will need, as well as how they will be recruited and selected. The Friends of the Cromwell Museum believe that it is a huge challenge for the trust to be made operational and effective by April 2016. We will continue to monitor the situation closely. Please help show your support for the Cromwell Museum in a practical and enjoyable way by coming along to ‘A Cromwellian Entertainment’, organised by the Friends of the Museum. The event will take place at All Saints Church, Huntingdon (adjacent to the Museum) on Friday 24 October, from 7.30pm. 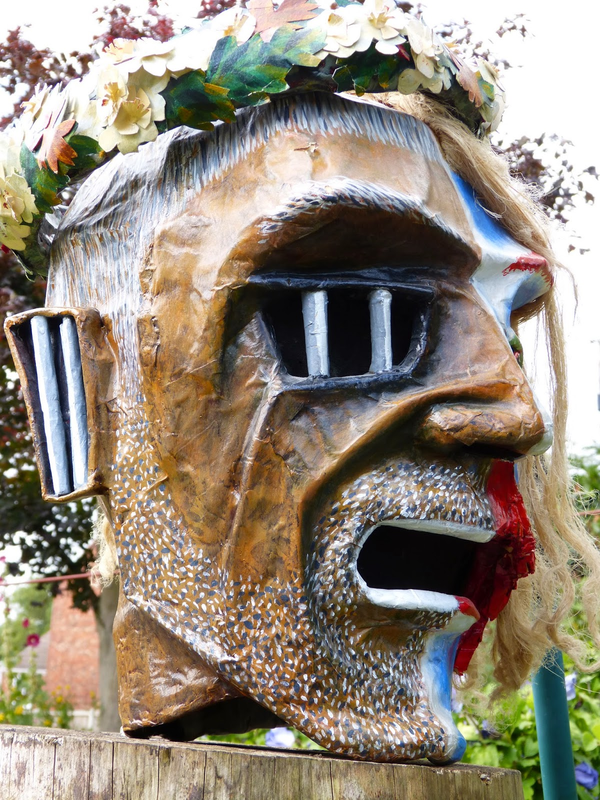 The fascinating story of what happened to Cromwell’s head will be told by poet, playwright and performer Gareth Calway in his acclaimed ‘Cromwell’s Talking Head‘, a one-man show, complete with giant puppet. The evening’s music will be provided by the period music group Spirits of the Air. Tickets are on sale now from the Museum at £8. To reserve a ticket, email cromwellmuseum@cambridgeshire.gov.uk or call 01480 375830. This entry was posted in Uncategorized on October 10, 2014 by savethecromwellmuseum.